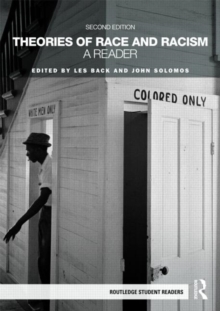 "Theories of Race and Racism: A Reader" is an important and innovative collection that brings together extracts from the work of scholars, both established and up and coming, who have helped to shape the study of race and racism as a historical and contemporary phenomenon. This second edition incorporates new contributions and editorial material and allows readers to explore the changing terms of debates about the nature of race and racism in contemporary societies. All six parts are organised around the contributions made by theorists whose work has been influential in shaping theoretical debates. The various contributions have been chosen so as to reflect different theoretical perspectives and to help readers gain a feel for the changing terms of theoretical debate over time. As well as covering the main concerns of past and recent theoretical debates it provides a glimpse of relatively new areas of interest that are likely to attract more attention in years to come.